Are you wondering what the summer slowdown in stock photography is? Have you heard this terminology but don’t really understand it? Like many types of photography, stock photography goes through seasons or cycles. There are peaks of demand around major events. Think of large events like the US presidential election, the Olympics, or Valentines Day, or major upheavals and social unrest. And there are also peaks and troughs at certain times of the year. The bulk of the world’s population lives in the northern hemisphere – the United States, North America, Europe, and major parts of Asia. Because of the population base these countries or continents represent the majority of the buyers of stock photography. So when those economies slow for a summer holiday, stock photography sales also slow down. The summer slowdown in stock photography refers to the time of the year when northern hemisphere clients are having a summer holiday, and so stock photographers are experiencing fewer downloads of their images. That happens in July and August each year. What should you expect in the summer slowdown in stock photography? My own experience as a stock photographer is that the total number of downloads of my files reduces each July and August and then picks up again in September and October. I am writing this post in the first week of August, so if you are experiencing a reduced number of downloads of your files, this is normal for this time of year. Don’t panic. You should see it pick up again in September. So, it is one thing understand what the summer slowdown in stock photography is, but what do we do about it? Exactly what you will want to do about it depends on your own business and circumstances, but here are three options to think about. Option one. Do nothing. This option recognizes that sales will slow at this time of year, and so your stock photography income will decline during these months. If you have cash flow from other sources, the summer slowdown in stock photography is nothing to worry about and no particular action is required. Option two. Develop more client work at this time of year. 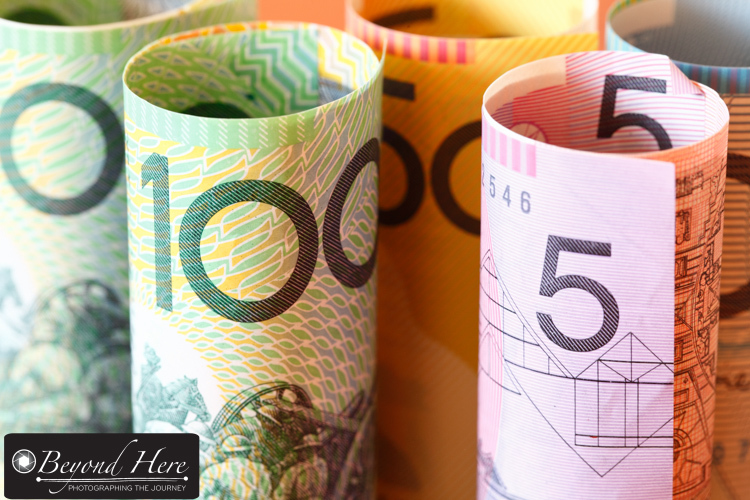 If you are wanting to develop a consistent flow of income you’ll need to build up income from other sources during the northern hemisphere summer months. I do this by shooting more family portraits at this time of year. Family portraits might not be the solution for you depending on what you like to shoot and what your typical client looks like. With planning and preparation its possible to adjust your client work to increase at this time of year. Keep in mind your stock photography income is likely to drop in July and August, and you will need to increase income from other sources. Option three. Develop stock content which isn’t impacted by the summer slowdown in stock photography. Not all stock photography markets experience a slowdown in these months. Where I live in Melbourne, Australia it is the middle of winter in July and August. It is also a time where there are very few public holidays. 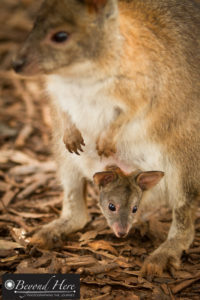 This is generally a good time for stock photography sales and I see steady downloading of my Australian themed images in July and August. Perhaps there are geographic markets or specific content you could shoot for which don’t slow down in the northern hemisphere summer months? Thanks for reading what is the summer slowdown in stock photography. I hope it has helped explain the seasonality which occurs in stock photography and given you some options to consider. Happy shooting. This entry was posted in Business Tips, Craig's Comments, Stock Photography and tagged microstock photography, photography business tips, stock photography on August 3, 2016 by Craig Dingle. Have you been asked to shoot for free? Are you outraged that potential clients ask you to help them in return for exposure? I regularly read social media ‘rants’ from photographers who are livid that a potential client doesn’t want to pay them. Being asked to shoot for free does happen, and I challenge you to find a positive in this experience. Having any client approach you is an opportunity. Here are 5 opportunities when you are asked to shoot for free. Opportunity #1 – Expand your photography business. The opportunity to shoot without payment is potentially an opportunity to expand your business into a new field. For example, if you’ve built your business on shooting family portraits and weddings, doing a product shoot for a local business is an opportunity to showcase your skills to a new market. An unpaid job comes with less pressure than a highly paid one, and gives you the chance to explore whether you like a different type of work and to see if you are good at it. Opportunity #1 – consider whether an unpaid job has the potential to help you expand your business. Opportunity #2 – Build great contacts. Any client represents one immediate job and a potential pipeline of future work. Before you feel your blood pressure rise and unleash a tantrum on social media, consider whether an unpaid job will benefit your business through the contacts you can make. I have found this can be beneficial when shooting for charities. Charities have people who support them. Often the key supporters are influential business people who have future photography needs. Opportunity #2 – consider whether an unpaid job has the potential to build valuable contacts. Can payment be in kind? An annual pass to a wildlife park would be valuable to me. Opportunity #3 – Get paid in kind. The reality is some clients really need and want professional images but just don’t have the immediate cash flow to pay the photographer’s normal day rates. If you are inundated with work, you might let this job pass. But if you’re not, have you considered other ways to get paid? Does the client have goods or services that you would be happy to accept instead of cash payment? Does a new accommodation provider want you to shoot for them? 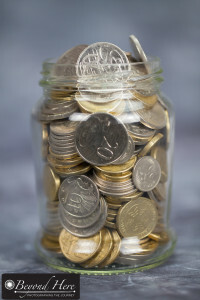 Would you accept free accommodation instead of cash payment? Opportunity #3 – consider whether payment could be made in goods or services instead of cash. 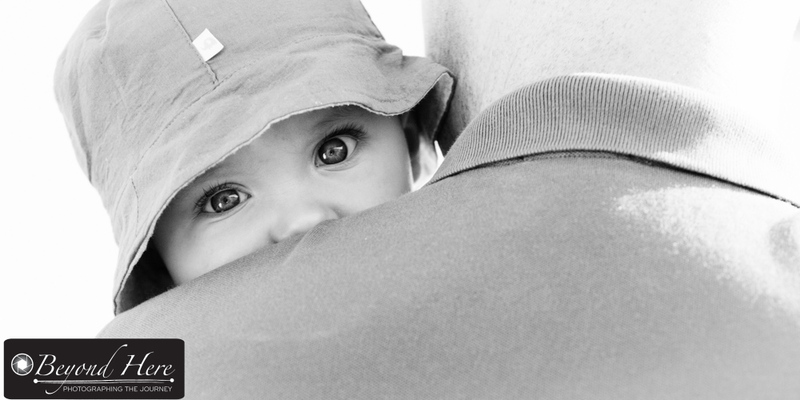 Opportunity #4 – Use the images in your stock photography portfolio. Clients that are not in a position to pay cash may be prepared to sign a model release or property release to let you use the images in your stock portfolio. While the job itself would be unpaid, you have the potential to generate an income years into the future by making the images available through a stock photo library. I have written extensively about stock photography for Beyond Here (see Why I Shoot Stock and other posts) and always consider this option with cash strapped clients. 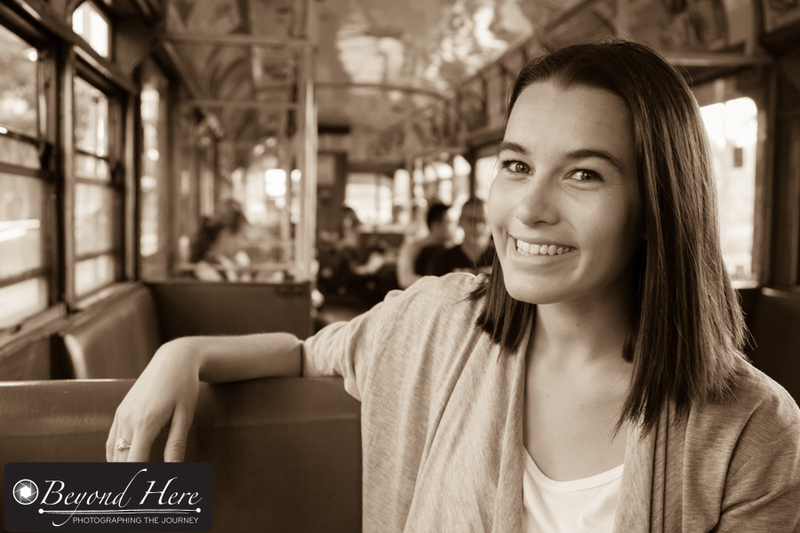 Opportunity #4 – shoot the job unpaid, and use the images in your stock photography portfolio. Opportunity #5 – Say no, and still help the client. After you have explored all options, sometimes there will be jobs you don’t want to do on an unpaid basis. In this case, there is an opportunity to still be helpful to the client. Firstly, say no promptly. Don’t drag it out. Give the client time to make alternative arrangements. And secondly, suggest a way to meet the clients needs. Do you know an emerging photographer who would happily shoot the job unpaid? Is there an opportunity to help the client and the emerging photographer? Opportunity #5 – say no, and still be helpful to the client. Thanks for reading 5 opportunities when you are asked to shoot for free. I hope this has encouraged you to think differently and find a positive out of this experience. This entry was posted in Business Tips, Craig's Comments and tagged photography business, photography business tips on July 22, 2016 by Craig Dingle. Today I was watching a corporate video which examined the difference between invention and innovation. (Please keep reading – I know that was a boring first sentence but it does get better). Invention is about making something for the very first time, while innovation is about building on something that already exists. (Trust me it does get better, just keep going). Innovation is the buzzword of the corporate world. Everyone wants more innovation. So why fail fail fail succeed, irony? The video pointed out that to have an innovative business, you needed to be prepared to fail and accept failure as a stepping stone on the path way to success. At this point the corporate world started to explain what I often try to explain to photographers. Their photography is good, but their business is lousy. And it’s not about simply stepping back onto the right path. 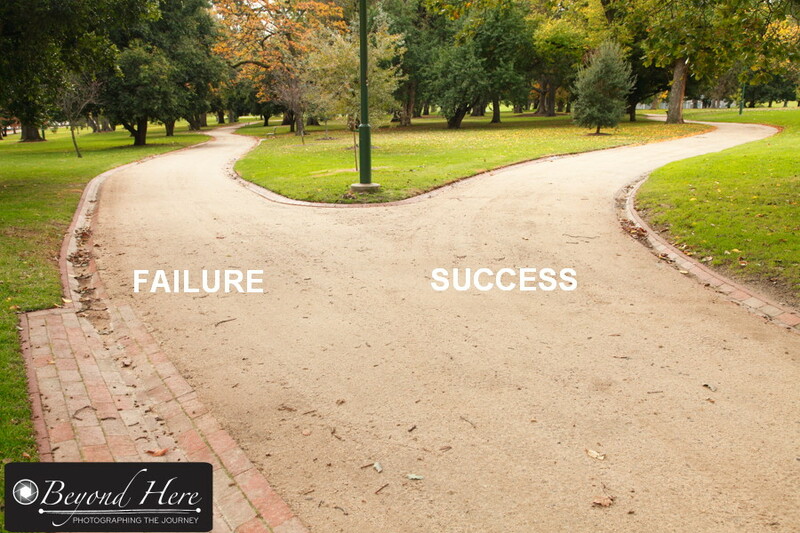 Success and failure aren’t different paths like here. Failure is a stepping stone to success. I work with photographers to help improve their businesses. Unfortunately many come with the mindset that “I’m on the wrong track, can you just get me back on the path to success?”. It is not that easy, and doesn’t work that way. What works for one photographer, may not work for another. So you can’t copy what someone else is doing and expect it to succeed for you. Just because a successful photographer is advertising on facebook, if you advertise on facebook it doesn’t guarantee business success for you. This is also what makes it exciting. There are lots of different ways to business success – you have to find the one that works for you and your business. There is no set formula – you have to find your own path. So if success and failure are not different paths, how does it work? Explaining this is easy – living it is difficult! Failure and success are on the same path. Failures are stepping stones to success. If you want to improve your business, challenge yourself to make more mistakes. Try things, learn from them. Have more failures, have more learnings. Trust that each failure is getting you closer to business success. Take steps forward towards success. And once you get there, redefine success. That’s how it works. Failures are stepping stones toward success. If you give up, you may have stopped moving forward when you were just one step from business success! I’m grateful for the corporate video explaining it so well. Lots and lots of photographers could benefit from this insight. So where does the irony part come in? Ironically, as photographers and creatives we understand that mistakes are ok.
Who takes only one landscape shot, knowing it is the best shot they could possibly take? In short, nobody does – especially in the digital age where it doesn’t cost more to shoot more. We take multiple images. We compose and recompose. We shoot, then review, then shoot again. We find new and different ways to view a scene. 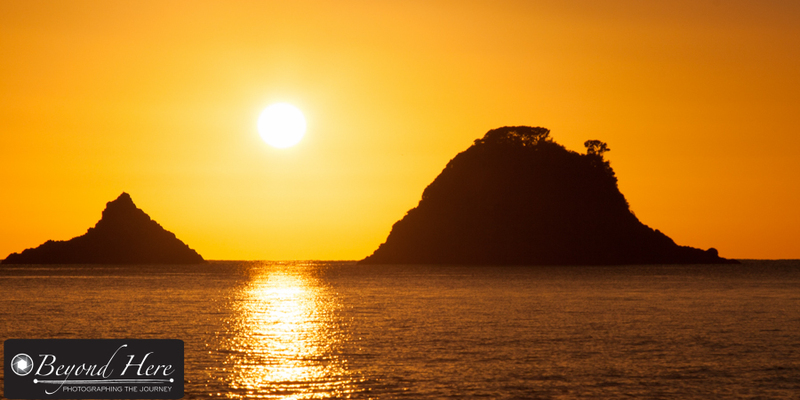 We might take 50 shots of a sunrise to get the image that really speaks to us. Do we view 49 of those images as failures? Heck, no! We know they were stepping stones and experiments that got us to the image we love. They gave us a point of reference to then shoot the best image of the day. See the irony? As creatives we get it, and as business people we don’t. This insight can change your business today. Those 49 shots aren’t failures, they were helping you build up to the success. See failures as the stepping stones to success. Fail fail fail succeed, irony. Pick up your camera and go and fail some more! Your business success depends on it. This entry was posted in Business Tips, Craig's Comments and tagged landscape photography, photography business, photography business tips on June 28, 2016 by Craig Dingle. I live in Melbourne, Australia where our tax year finishes at the end of June. That’s just three weeks from now and lots of people are busy making sure they have their business affairs in order before the end of the financial year (EOFY). So, what should you be thinking about as the tax year wraps up? Here are 5 actions to take before EOFY. Action 1 – Understand the profitability of your business. It helps to be across the profitability at all times of the year, but especially just before the end of the financial year. To understand profit, the main drivers are sales minus costs. Work out your total sales income, and subtract your total costs to get a simple understanding of your business profitability. The amount of tax you will pay will depend on the tax rate and how much profit you’ve made. Action 2 – Consider purchasing new assets. Once you understand the level of profitability your business has achieved, you will have an idea of how much tax you will have to pay. To reduce the amount of tax you can increase your expenses by buying new assets. For example, you could purchase a new camera body or lens or computer which would increase your costs. (There are rules around what things can be expensed versus what needs to be capitalized and depreciated, so have a chat to your accountant before you go shopping). Here in Australia the retailers understand that there is an increase in business spending just before the end of financial year, and that’s why you will see a lot of ‘sale’ activity in June. Action 3 – Review your sales and marketing activity. The primary difference I see between financially successful photography businesses and unsuccessful businesses is the effectiveness of their sales and marketing activity. The end of the financial year is a great time to assess whether your activity is working or not. Be honest. Most have significant room for improvement. The good news is that with improvement it will generate more business for the same amount of effort. 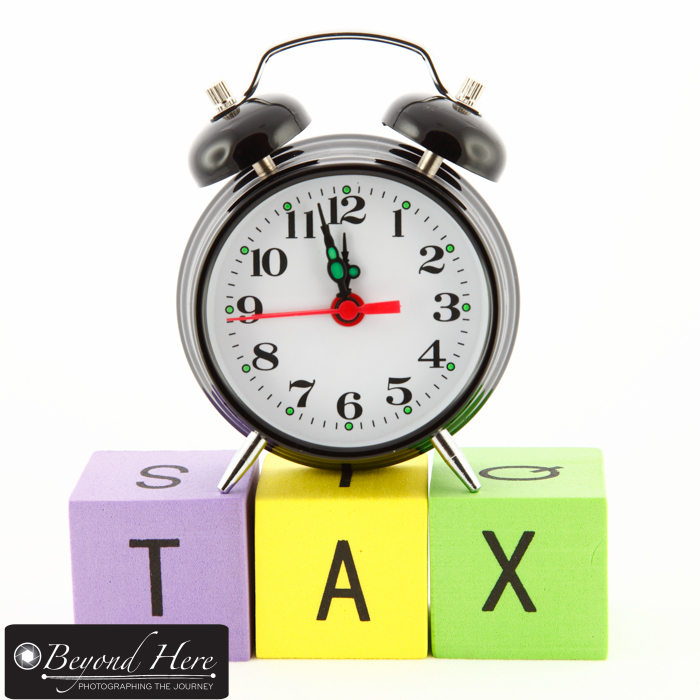 Take the time at the end of the tax year to pause and reassess. 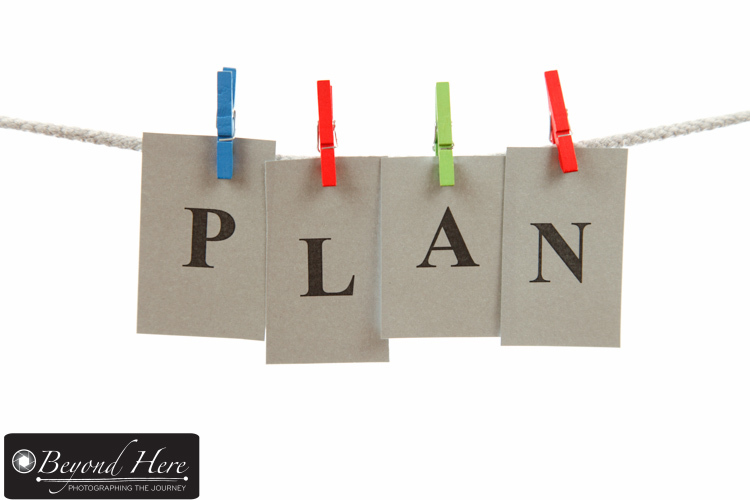 Action 4 – Build a plan for the new year. Big business doesn’t get away with drifting from one year to the next without have budgets and a plan to achieve them. And they shouldn’t – they have shareholders who will hold them accountable. Budgets and plans bring structure and purpose to their activity – and those should be used in small business too. Take the time to put together a budget and a plan before the new financial year starts. Action 5 – Resolve to act differently. I have never come across a photographer who is serious about their business who says ‘I just want things to continue the same as they are today’. Everyone wants to make more, or work less, or both! To get a change in outcome you have to change what you are currently doing. You need to resolve to act differently if you expect a different outcome. Make that decision today and be ready to act in the new financial year. Thanks for reading 5 actions to take before EOFY. May you have a prosperous year ahead! This entry was posted in Business Tips and tagged photography business, photography business tips on June 9, 2016 by Craig Dingle. I feel fortunate to be able to help other photographers run their photography businesses. That usually means I have very little input to the style of images they are shooting, but a lot of input to how they manage clients, how to sell and market, and how to establish efficient processes for running their businesses. Often we do a review of their website as a key tool for communicating with potential clients. During the course of many reviews, I have put together a list of things your photography clients don’t care about. Avoid featuring these heavily in the promotion of your photography business. Clients don’t care what equipment you use. From time to time, I see photographers detailing a long list of the equipment they use – camera bodies, lenses, flash units, light modifiers. Trust me, your client doesn’t care. They generally don’t know the 70-200mm L series MkII and listing that detail positions you as a ‘gear nerd’. Clients want to know you can shoot good images and they do expect you to have professional grade equipment, but they don’t care about the details of your equipment. Clients don’t care that this is your passion. Clients don’t care, because they expect you to be passionate about your profession. They expect you to produce good results. They really don’t care that you got your first camera at the age of 7, and felt called to be a photographer. Don’t clog up the content of your website talking endlessly about your passion and how from the age of whatever, you knew you were going to be a photographer. Clients don’t care about the hours you put in. It’s about the outputs, not the inputs for a client. Don’t get fooled into thinking you have to tell your clients about how hard you are going to work for them. Working hard is a good virtue, but in photography the client is interested in the outputs of your work. Clients don’t care where you studied. Unless you went to an extremely prestigious university that is known to all of your clients, don’t be tempted to tell your clients about where you have studied. Clients are interested in whether you can produce high quality images for them. You either can or you can’t. Where you studied is not of interest to your clients. Clients don’t care about the post production process. Most clients do know that their images will be enhanced in post production, but clients don’t want to know the intimate details of your workflow. There is no need to list the process you take of importing RAW files into Lightroom, making minor adjustments, then working in Photoshop and saving as a TIFF file. Even writing that was starting to bore me! Clients are interested in the outputs of your workflow. Show them strong images, don’t bore them with your post production process. Clients don’t care about the post production process. They care about the outputs. Give clients what they are looking for in your promotional materials. Show them good work. Make it clear you are a real person. Show them you have experience. Don’t get caught up in providing lots of information they are not interested in. Keep it relevant to the client to book more jobs. Thanks for reading ‘things your photography clients don’t care about’. Happy shooting. This entry was posted in Business Tips, Craig's Comments and tagged photography business, photography business tips on May 22, 2016 by Craig Dingle. I like to read blogs about photography, and I particularly like 2 blogs about the business side of photography. They help to give me a different perspective on the things I like to write about, and to discuss with other photographers. 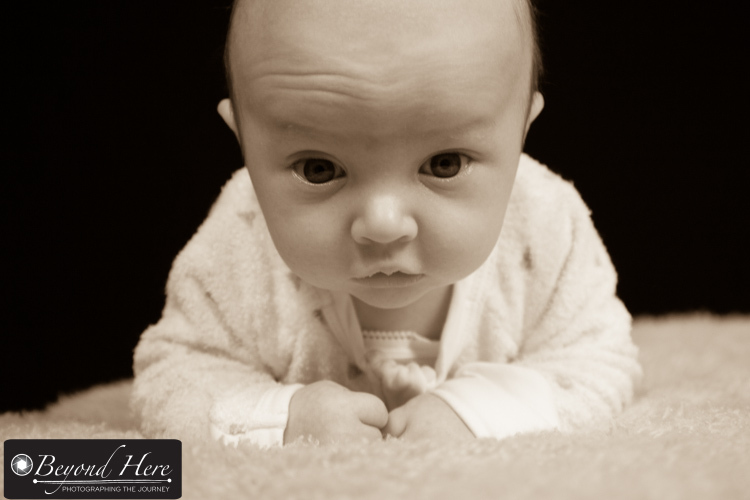 This week, reading the two blogs prompted me about five photography business reminders. They are five key points that are easy to talk about, but hard to do when you are starting out. So if you have recently got underway, see if you can adopt these five photography business reminders into your own business. And if you’ve been operating for some time, will challenging yourself on these five points make your business stronger? Reminder #1 – Put the client first. Building a successful photography business is about creating a long list of happy clients. It doesn’t matter what you are shooting, the key to business success is having happy clients. Put the client first. This business is not about you feeling important, it’s not about your fancy equipment, it’s not about how many likes you get on Facebook – it’s about the client. Keep creating happy clients. 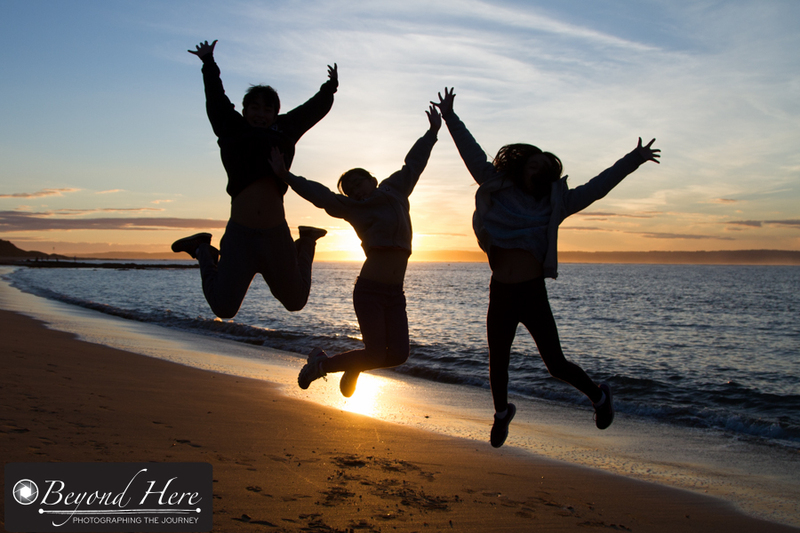 Give your clients reasons to be jumping for joy. Happy clients makes successful photo businesses. Reminder #2 – When it goes wrong, do whatever it takes to make it right. No business goes so smoothly that every client is completely happy. No matter how good you are, you are inevitably going to upset or disappoint someone. When this happens, your response will define your business. Do whatever it takes to put things right – even if it means losing money on the job. If a client isn’t happy with a print – get it redone at your expense. Making clients happy is what makes successful businesses. Show them that you care. When it goes wrong, do whatever it takes to make it right. Reminder #3 – Being successful will take hard work. If you’ve got the idea that successful photographers live a glamorous life and cruise from one high profile job to another – be assured that’s not the truth. Running a successful photography business is hard work. There are times when you have so much work that you struggle to give each client the attention you know they deserve. And there are other times when you just wish you could find your next client. Running a successful photography business will take hard work. You’ll work long hours and most of it will not be at all glamorous. Photo businesses are about clients, not money. Get the client piece right, and the money will be fine. Reminder #4 – Be clear on your point of difference. There are a lot of photographers out there. Most have gear better or equal to your own. They are prepared to work as hard or harder than you. You’re not the only photographer who can do the job. To run a successful business you need to understand what is your point of difference. Is it the client experience you give on shoot day? Is it your post production techniques? Is it the products you offer? There are many possible points of difference. You need to be clear on yours, and be able to explain it to a potential client. Reminder #5 – Everything is better with a sense of humor. I follow the Facebook page of a photographer who goes by the name Missy Mwac. Check her out. She posts regularly. She has a lot of good, common sense ideas. She dislikes photographers who aren’t making it as photographers who are trying to make it selling photography workshops. And she mentions vodka in a lot of her posts. She is witty. She makes me laugh. I like that in people. People who laugh are fun to be with. Remember, your client doesn’t want the world’s most serious photographer. Everything is better with a sense of humor. Thanks for reading Five Photography Business Reminders. Have a great week. This entry was posted in Business Tips, Craig's Comments and tagged photography business tips on April 17, 2016 by Craig Dingle. Last night I watched an under 12 girls basketball match. Our team has been having some ups and downs, and have lost more games than we have won. As I watched them trail for most of the game, hit the lead for the first time in the last quarter, fall behind again, and come through for a close win – I saw the parallel in their journey with the journey of most photographers. Here are 6 photography business tips from the under 12’s! Tip #1. Hard work can produce results. When people enter the photography industry they think it is their unique way of seeing the world, and being able to translate that into images, that is the key to their success. For most photographers running successful businesses, they know that their success is built on a combination of talent and hard work. The under 12’s reminded me of that last night. The team they were playing were probably more talented, but our team kept working hard, and eventually got the win. If your photo business results aren’t coming, it might not be a lack of talent. Are you working hard enough to produce the results? Are you contacting enough potential clients? Tip #2. Practice pays off. This group of girls have been together since November, training twice per week and playing once per week. It is a long season for them. We are in March and this is only the third game of the season proper. Encouragingly they are starting to play together as a team. The effort they are putting in at training is starting to pay off. Are you practicing your photography when you don’t have a paying job? Honing your skills in the off season? Are you learning a new play? Practice pays off. Perhaps you should be practicing your shooting techniques, or post production, or client meetings? In junior sport, sometimes one or two dominant players can carry a team to success. Last night, out of a team of 10, 2 players were unavailable and 2 were in early foul trouble. The remaining 6 players got a lot more court time than usual. They worked together and shared the scoring. They cooperated to add defensive pressure. Often photographers running their own business think it’s a one person show. It’s not. You are in control like the coach was last night, but you are not the only one contributing. Who are the team mates who help drive your business? An accountant? A second shooter? A model? Someone to do your post production work? A mentor? A ‘go to’ person who knows how to help you out of a creative rut? A partner to do your print jobs? A strong team is key – even in a ‘one person’ business. Teamwork matters – build a strong team. Tip #4. There are hurdles to overcome. Last night, one of the dad’s couldn’t come to the game. I sent him messages every few minutes to keep him up to date with the score. When I look back at those messages, we were behind, 8-3, then 12-10 at quarter time, 22-18 at half time, and we were tied 31-31 at three quarter time. The first time we hit the lead was 36-35 with 4 minutes left. With 1 min 16 seconds left we were up 40-36, then 40-38, and with 2 free throws with 8 seconds left we won 42-38. Just like in a photography business, they didn’t have it easy. The other team were tough. They had to persevere. 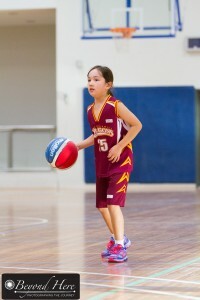 And like a determined group of under 12 basketballers, there will be hurdles to overcome in your photography business. It’s easy to give up. Don’t. Expect hurdles and keep going. Tip #5. It’s Important to be adaptable. In the basketball team we have 2 tall players, and typically one is on the court while the other rests. Given the early foul trouble to other players they both needed to be on the court at the same time last night. The team adapted (and got a few more rebounds!) As a working photographer you also need to be adaptable. Your path to success might not be exactly as you originally thought. You might have to shoot some local events and build a network before the high paying weddings start rolling in. You might need to shoot some corporate portraits before celebrities are knocking on your door. Be adaptable and be patient. Sometimes business success avoids the highway and takes the scenic route. Tip #6. Success is very sweet when you have to work for it. This basketball team has had more losses than wins so far. But the look of satisfaction on the girls faces last night showed how much it meant to overcome a strong team and come away with a win. They had to work for it. The stadium was hot, and there were some very tired kids at the end of the game. But there were some very satisfied looking kids. They had achieved something important. And in our photography businesses, it won’t be easy. Success after struggle is very satisfying. If you are currently struggling, re-visit the five previous lessons, and trust that success is coming. When it does arrive it will be sweet. 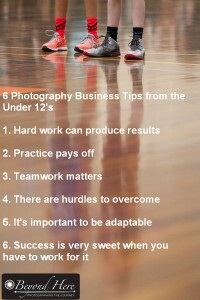 Thanks for reading 6 photography business tips from the under 12’s. Remember that whether you have had a good week or a bad week, there are lessons to learn to take forward into next week. Like the under 12’s, your next opportunity is already looming. Be ready for it. Happy shooting. Editors Note: if this post has been helpful to you, please see How to Start a Photography Business. This is put together by ShootDotEdit. I’ve been using their post production services for my wedding clients for several years now. 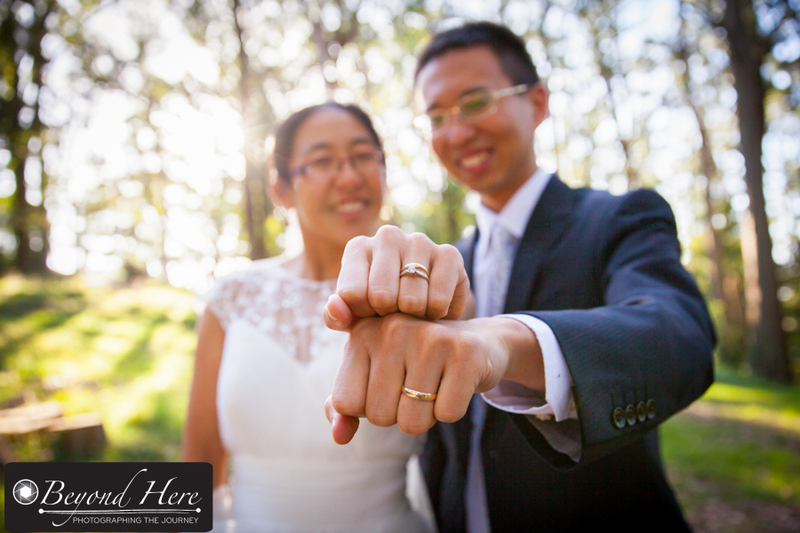 Their work is a huge time saver for my business and helps streamline my wedding photography workflow. In addition, they compile a really helpful blog with lots of content for photography business owners. The post I’ve linked outlines 4 ways to prepare your photography business for growth. Check it out! This entry was posted in Business Tips and tagged business tips, photography business tips on March 12, 2016 by Craig Dingle. While many in the photography industry lament the loss of “the way things were” – I continue to be positive that there are more ways for photographers to make money today than ever before. Not only that, there continue to be new ways to sell your images. 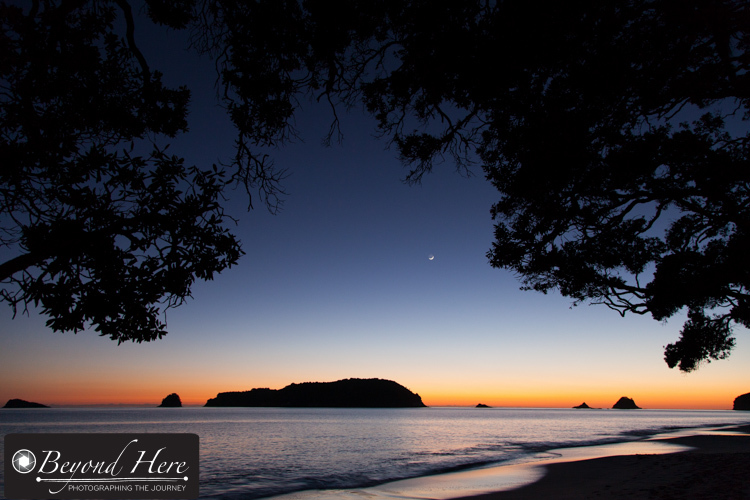 This shot was taken at a remote beach on the east coast of New Zealand. Very specific images like this suit the ImageBrief model. This week I’ve been learning more about an online business called ImageBrief. It has been around for a while now, but is new to me. How Does it Work? ImageBrief works by people who need images writing a specific brief for photographers to work to. The buyers are, in the main, advertising agencies and corporate clients. They are looking for specific, unique images and don’t want images which are broadly available like on a microstock site. On their home page these words sum up what they are aiming to provide to buyers – “Un-Stocky Stock Images”. What about payment? For each image you get paid a few hundred dollars (in US dollars) through to several thousand dollars. The amount is outlined on the brief. 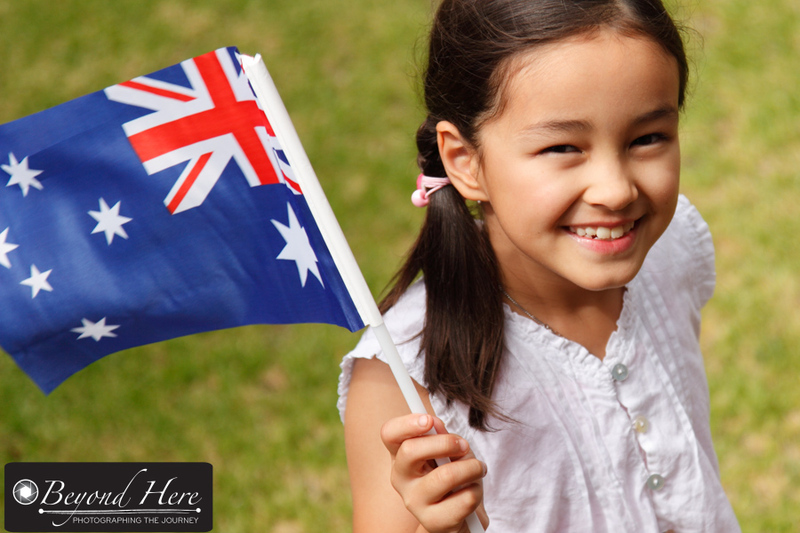 One brief I look at was for hero images of Australian and New Zealand cities. The buyer was needing multiple images and was prepared to pay $3500 per image. That is an attractive amount per image. How is it different to microstock? It’s clear from the payment structure that images sold via Imagebrief follow a low volume, higher price model compared to microstock. Microstock was built on high volume and low prices which made it attractive to the occasional image buyer and the mass image buyer. Imagebrief is an evolution to meet the needs of the specific image buyer. They don’t want an image which is readily available and widely used elsewhere. In many cases, they want exclusivity of use for a period of time and are prepared to pay for it. ImageBrief connects buyers and sellers around specific requirements. Why is this attractive for image buyers? For the buyer, using a service like Imagebrief is still cheaper and easier than hiring a photographer to shoot the image directly and gives them some control of the creative process. If they write a good brief they should get a range of images to select from which meets their needs. In that sense it is better than hiring one photographer who shoots in one style. A pool of photographers will provide different images with different styles. What’s in it for the photographer? Firstly, there is a pipeline of briefs being written by buyers every day. If you are wanting to know what is in demand by modern image buyers, start reading the briefs. Secondly, it gives the photographer access to image buyers around the world. If you are only shooting for local clients, Imagebrief brings you in contact with a much broader range of buyers. And thirdly, the combination of the first two points means this is a financial opportunity and one of the new ways to sell your images. Interestingly, the information on ImageBrief talks about being able to use your existing library of images to meet buyers needs. I don’t know about you, but I don’t have a lot of commercially useful images just sitting around. They are either being used by clients, or available through my stock photography portfolio. I believe it’s more realistic to be using the briefs to go and shoot new content, rather than using your existing files. Will it be successful? This model has the potential to be very successful. It enables the buyer to tap into a pool of photographers around the world, and to write a specific brief for them. 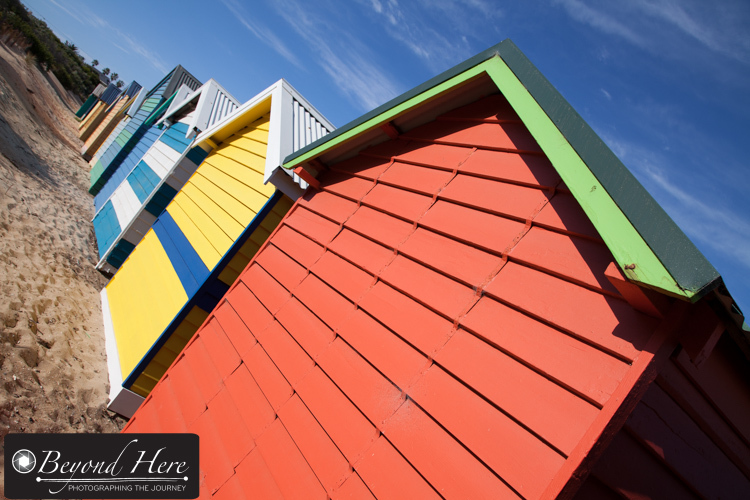 Photographers should be able to produce images which match directly to the buyers needs. In many ways I see this model as an extension to stock photography, but improved by the fact the buyer outlines exactly what they need, rather than hoping they find a suitable image in a stock library. It is a great example of leveraging the ‘connected world’ through an online marketplace to better match the needs of the buyer and seller. Thanks for reading new ways to sell your images. Head on over to ImageBrief to check it out. Disclosure – the links to the Imagebrief site in this post have a referral which Craig Dingle Photography Pty Ltd may benefit from financially. Under the current terms of the program my business would earn a US$50 voucher when any photographer who signs up with ImageBrief via this link sells their first image. This entry was posted in Business Tips, Craig's Comments and tagged ImageBrief, photography business tips on February 28, 2016 by Craig Dingle. 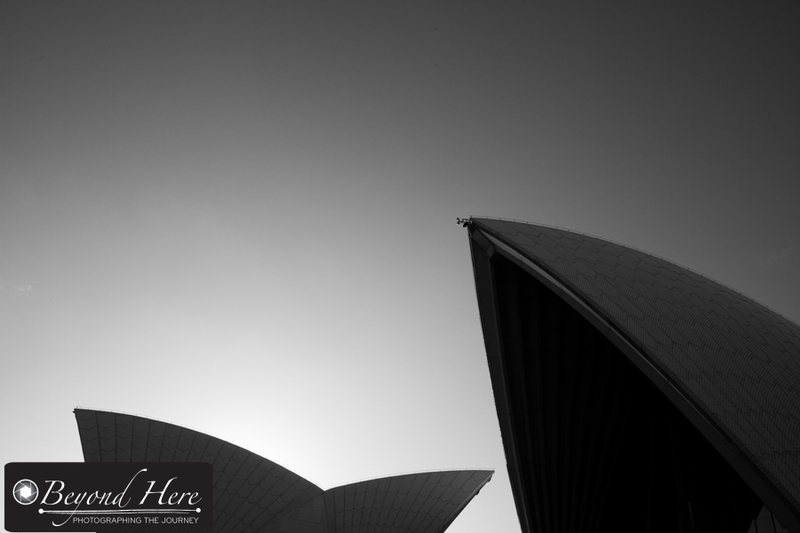 Today’s post provides tips for the perennial wannabe pro photographer. Tips for that person who loves photography and has always talked about making their hobby their living but hasn’t quite got there yet. Let’s help that person make the jump with five common sense tips to help them launch. Tip 1. Act Now. Action is contagious, it produces more action. Sometimes it is good to plan things out in great detail, and other times it is better to take one step forward right now. Today. Act. Set up a website. Print some business cards. Register your business. Find a mentor. Open a stock photography account. Whatever it is, acting and moving forward one step at a time is the only way. We all started with one small step forward. Stop procrastinating. Act now. 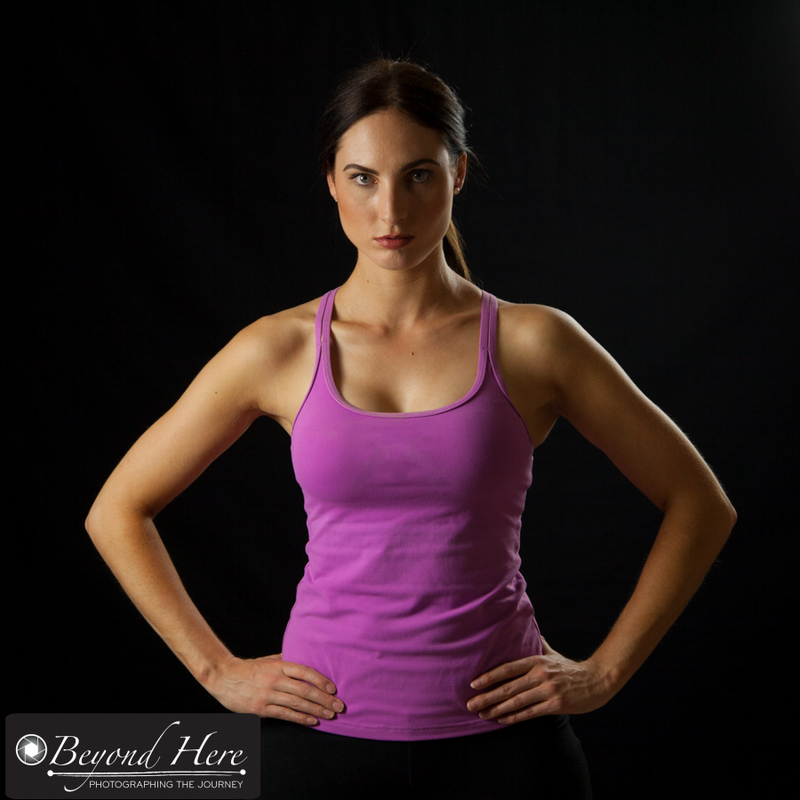 Being able to produce strong images in different lighting conditions is very important. Winning awards is not. Tip 2. Creating Good Quality Images is More Important Than Winning Awards. I see photographers with the potential to run successful businesses talk themselves out of it because they have not won awards for their images. They think that because they haven’t won awards, that the quality of their work is not at pro standard. Trust me, you do not need to win a string of awards to operate a successful photography business. Being able to produce good quality images is very important – but winning awards is not. If you can consistently create good quality images in a variety of lighting conditions, then you have the potential to generate an income from your photography. Tip 3. Start Part Time. Some people don’t seem to believe in the concept of starting a business part time. Those people should know that thousands of photographers all around the world are successfully running part time businesses. If you are struggling with the idea of quitting your job to launch a photography business, then don’t. Keep your job. Launch on your days off. Start on weekends. Be patient and focussed. Building a business takes time. Tip 4. Expect Building a Business to Take Time. I don’t know any photographers who have made the decision to become a pro shooter who have had instant success. It takes time to build a business. It takes time to find clients and to build relationships with them. It takes time until they will refer others to you. Don’t expect all those things to happen in your first 3 months in business. Expect this will take time. If you are short on clients right now, know that is normal. It is a very small number of pro photographers who have a queue of clients waiting until they are ready. Expect ups and downs along this road. It is normal. Be patient. Focus on generating a large group of happy clients. When you have achieved that, the business of finding new clients or repeat clients gets much easier. Meeting your clients needs one at a time is a sure fire way to build a successful photography business. Tip 5. Commit to Keeping Going. 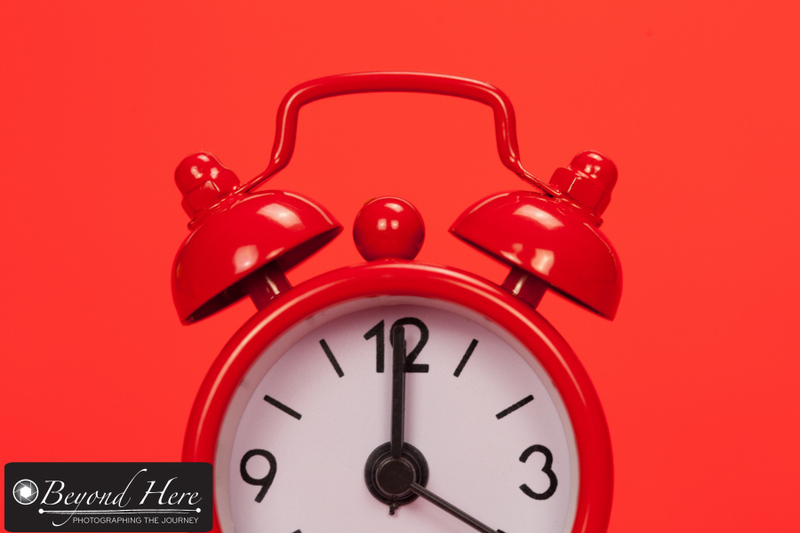 There will inevitably be times in your photo business when you don’t have enough clients. There will be times when some clients are ‘challenging’. Don’t be put off by these experiences. How you respond in these times will determine how your business performs in the long run. Don’t give up when times are tough. Everyone goes through this and you can too. Commit to keep going. Don’t let anything get in the way of your objective of running a successful photography business. Thanks for reading Tips for the perennial wannabe pro photographer. I hope it has been useful to you and has encouraged you to move forward. Push on. It can be done. Make it happen. If you’d like any help, just drop a comment on the end of this post and I’ll do my best to assist. Good luck. This entry was posted in Business Tips and tagged photography business, photography business tips on February 20, 2016 by Craig Dingle. This week I have been working with a photographer who has just started to consider the possibility of making photography her career. It is a very exciting time. She has so many dreams, and possibilities. It made me think about the lessons I have learned since I was in her position back in 2008. (Amazingly, it is not far from ten years since I was in her position!) So here is photography business advice to my 2008 self. Creative and Financial Success are Possible. I’m not sure why it is, but people like to tell you that you will not be able to make money in photography – or if you do, you will have to sell your creative soul. Perhaps it’s because deep down they really wish they were brave enough to tackle what you are tackling? or maybe the security of their corporate pay check is just too much for them to give up, and they are projecting those values onto you? My experience since 2008 is that creative and financial success can co-exist. In fact, the more I learn about and experience the business of photography, I’m convinced that there are more ways to make money in photography now than ever before. It’s Not Easy. Reality check! If you’ve been in your photography business for a while and are finding it hard going – you are not alone. Everyone finds it this way. The hardest part is finding which part of the business best suits your skills and personality. In that sense, everyone’s story is different. There is no single formula to follow. You have to find your own way. (If you’d like to read a great book that tackles this topic, see here). If this was easy, would it be as attractive? If you just had to hang up a sign on your front door saying ‘Photographer Available’ and a queue of customers lined up … would that have the challenge you are looking for? Embrace the difficulty, and work out your own way to both business and creative success. Good Partners are Invaluable. When I started in the business of photography I didn’t realize how important good partners would be. What type of partners? I’m talking about those people I rely on to deliver for my clients and my business – my second shooters, my accountant, the people I work with for wedding albums, the models I work with, the people who I outsource post production work to, and an expert print shop. These are just some of my go-to people, who help me deliver a great experience for my clients and help me run a strong business. If you are trying to do it all alone, or your business is struggling – have a critical look at the partners you are working with. A strong network of partners is invaluable. Make Decisions for the Long Term. When I began in the business of photography I set up as a sole trader. It wasn’t long before I out grew that business structure and was better served by setting up a company. In hindsight it would have been easier to set up as a company first, as I always had in mind that would be the structure which best suited where I planned to go. My business advice to myself is – have a vision of where you want to be in the medium and long term, and make decision with that in mind. Happy Clients are the Key. Don’t over complicate this. If you build a following of happy clients your business is going to grow. Those clients are going to come back for repeat shoots, and they are going to refer their friends. Forget about how great your work is or how good you feel for a moment. Are you clients happy? How can you make them happier? Happy clients will see your business grow. Gear Backups Bring Huge Peace of Mind. When I started my photography business I had just the one camera body and several lenses. As I headed off to each job I couldn’t help worry about what I would do if my gear failed. How would I get the job complete? Would it be fatal if I let one of my early clients down? So I started borrowing a friends camera body to take along as my ‘just in case’ solution but felt bad each time I asked. So I bit the bullet and bought a second camera body. The peace of mind has been worth it! I now have 2 camera bodies and several lenses at every shoot. In the unlikely event of gear failure, I will still be able to get the job done. You Won’t Always Shoot the Same Thing. Don’t be surprised if you find yourself wanting to shoot different subjects or styles as your business evolves. In fact, it would be unusual to be shooting the same things at the end of your photography career as at the beginning. Things change. Be prepared to change with them. To fulfill your creative goals, shoot the subjects which interest you and expect that to change over time. Social Media on it’s own is not the answer. This piece of business advice comes since I have started working with other photographers to help them improve their business. Several seem to have it in their heads that if they regularly share their work via social media that the clients will roll in. Social media is potentially a source of new clients, but it’s not likely when used in a very unsophisticated way. Sharing images and generating new clients are different things. Thanks for reading Photography Business Advice to my 2008 Self. I hope it is useful to you and your photography business. If you have questions which you would like help with, please post a comment and I will do my best to respond. If you’d like a business coach to help guide you, please check out the service now available on my website. 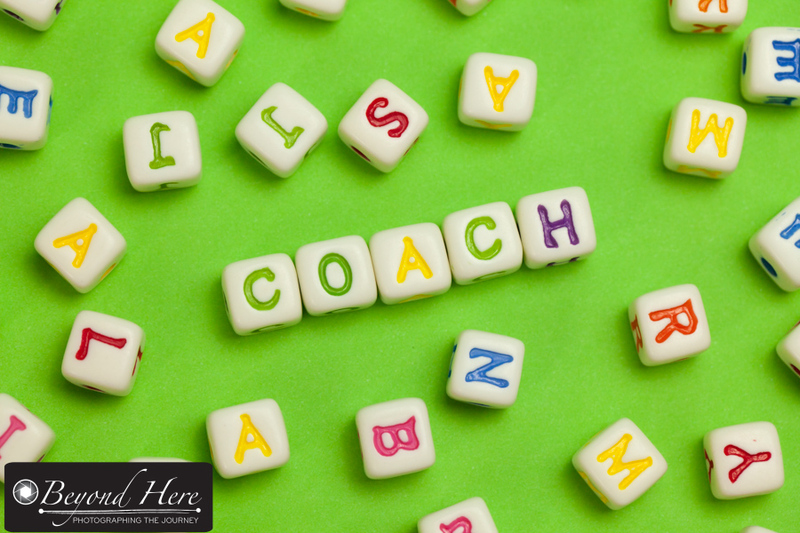 A business coach can offer you individual business advice. This entry was posted in Business Tips and tagged photography business, photography business tips on January 17, 2016 by Craig Dingle.